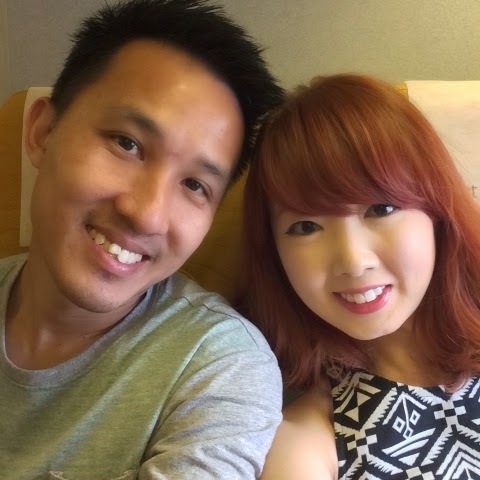 After a hectic period at work, it's become a yearly tradition for us to go on a short holiday to relax and unwind. 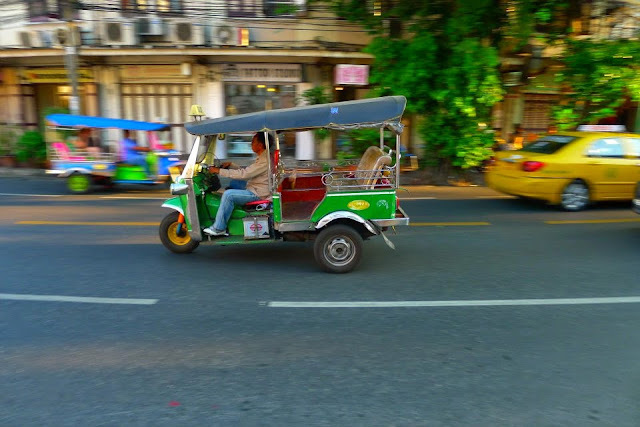 We booked flights to our favourite destination in South East Asia; Bangkok. Ask any Singaporean, I'm sure this colourful and bustling capital city of Thailand is one of the top choices for a short getaway. The energy and the sheer number of things to do and places to explore is such a huge draw and its what keeps this holiday destination so addictive. We arrived at Don Mueang International Airport after a short 2.5hrs flight. Cleared immigration in a jiffy but had to wait quite awhile for our luggage but oh well.. all part and parcel of travelling. The queue for a cab at this airport can be rather long as there's no airport rail service like the one at Suvarnabhumi airport. So if you do take 'Scoot' or land at this airport, be sure to factor in the waiting time for a cab! We finally got a cab and were soon on our way. Guess what? You can choose which airport to land in if you take 'Scoot' now! Anyway, we were expecting heavy traffic into the city but traffic was surprisingly smooth and we arrived at Lit Bangkok Hotel located in Pathumwan district soon enough. This hotel is just 2 minutes walk from National Stadium BTS, where the popular tourist mall Mahboonkrung(MBK Center) is located. We usually stay at S Sukhumvit Suites at Asok BTS which is also very convenient as it is located opposite Terminal 21 shopping mall. However if you tend to frequent Pratunam area then this place is probably a little more out of the way cos you have to either take a cab or take BTS to access to those places. Anyway, let's take a tour of the room! This wardrobe can be opened both sides so you can take a "short cut" to the toilet. The toilet is very spacious and long, you can roll around. I'm not kidding. Just look at the long walkway leading to the bath area! The wardrobe that opens both ways is right next to the makeup area on the left. After dropping our luggage, we headed for dinner at 'Sizzler' at Siam Center as planned and shopped at the night market in front of Siam Square. 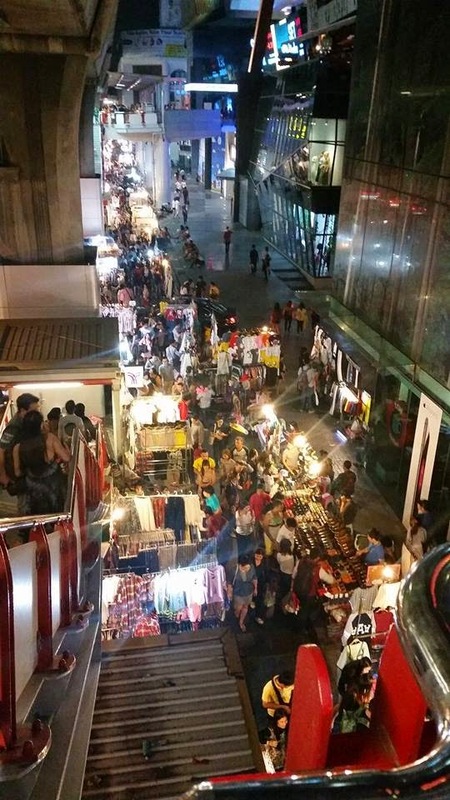 This night market is quite a long stretch which stretches from the opposite Siam Paragon all the way to MBK and is very popular with locals and tourists for its convenient location at Siam BTS. That pretty much summed up our first night in Bangkok, not bad considering we landed in Bangkok at about 7.30pm. The next morning, we slept in and headed out for an early lunch at Siam Center before continuing on to Platinum Mall for some retail therapy! Its Sunday and most people will head to Chatuchak Weekend Market but we will save that for later when its less sunny. The weather in Bangkok is even hotter than back home though its just a slight difference of 1 or 2 degrees. You can feel the scorching sun when you walk on the streets and start perspiring the minute you step out. They just had their Songkran festival (13-15April) where the city gets drenched in friendly water fights! No one is spared! OOTD to beat the heat! Bubble tea from Mr. Shake before we continued our journey to Platinum Mall. Platinum Mall is a shoppers paradise with 6 levels of retail goodness, it's a shopaholic's must go! It's located at the Pratunam district, so you can walk there passing through all the malls like Siam Discovery, Siam Paragon, Central World and enjoy some air-con before crossing the bridge and arriving at Platinum Mall if you are coming from Siam area. If not, the nearest BTS to Platinum Mall would be Chit Lom otherwise, you can always take a cab. I didn't want to shop a lot on this trip so we didn't go across to Pratunam Market to shop. If I was with my girlfriends/sister, it will be a mandatory shopping location! If you're really into getting the whole shopping experience and get even better deals, you can wake up early and visit the Pratunam Market's morning market. They close the roads and sellers set up stalls before the morning traffic starts streaming in. You can check it out as early as 6am(Bangkok Time), it will be in full swing. Buyers, shop owners, shopping enthusiasts are among the crowd you'll see at this early morning market. 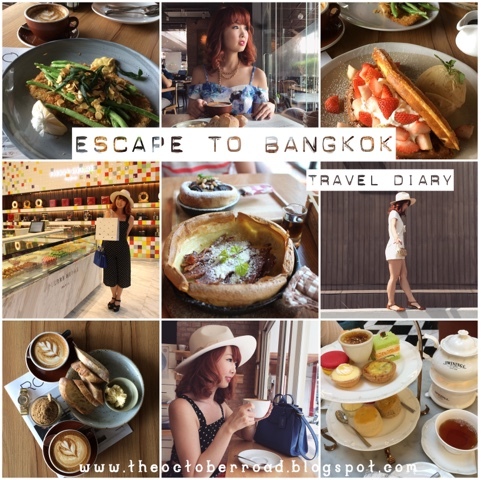 Apart from being a shopper's paradise, their cafe scene has also been thriving in recent years and you can see popular cafes that started out in Thonglor area start to open outlets to where the crowds are; Siam. Here, we check out a branch of Mr Jone's Orphanage in Siam Center. The original outlet at Thonglor, Seen Space is closed due to relocation. Don't you just love the whimsical decor of this cute cafe? After some tea and cakes, its time to continue our journey to Platinum Mall..
Shopping at Platinum was quite a quick one this time around! Of course we did speed shopping cos after awhile, everything looks the same..especially when you don't set out to shop. We walked back to Central World to try out Twinings Tea Room. We ordered a tea set to share. It includes all the items in the picture. I would say its similar to TWG in Singapore but pricing wise more worth it due to the exchange rate. The set comes with a pot of tea which you can choose from the list of teas. We chose the peach and its served on a little teapot warmer which I thought was a nice touch. Scones, macarons, finger sandwiches, little tartlets and creme brulee. 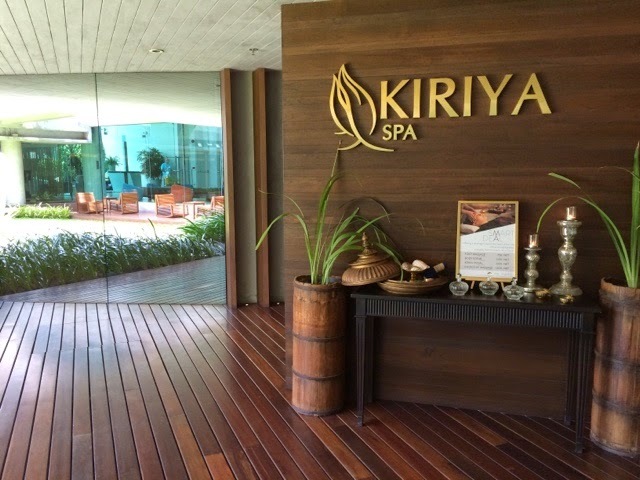 We headed back to the hotel to rest and freshen up a little before heading to Chatuchak. Okay enough rest, time to head to Chatuchak! We walked to Rathchathewi BTS station which is in the opposite direction of National Stadium and about 5-7mins walk from our hotel. Chatuchak is on the light green line (Mo Chit BTS) and so is Ratchathewi Station so we didn't have to change trains at Siam interchange. On our way to the BTS, we saw this old school metal gate and how can I resist against taking a pic here?! We arrived at Chatuchak at about 6pm in the evening which was the perfect time cos most of the tourists would've left by this time and the weather is cooler to shop in as well. After shopping, we had dinner at Toh Plue restaurant which is our usual dining choice whenever we go to Chatuchak. An eatery with vintage styled interior with a wide variety of food choices. We continued shopping after dinner. The stalls that you see inside the middle stretch at the clock tower during the day will come out to the main stretch to set up stall there. You will also see many locals setting up shop and selling some of their handmade items/apparels. For vintage enthusiasts, the Chatuchak weekend market is also a great place for thrift shopping where you can choose from including bags, shoes apart from the array of vintage apparels. The prices are also lower during the night as compared to during the day where the hoards of tourists come in. We left at about 8.30pm in the night and took a BTS back to Siam where we did some grocery shopping and grabbed another bubble tea from Mr. Shake before heading back to the hotel to rest. **You can always visit Chatuchak earlier depending on your travel plan, we chose to visit at this time. There is also a night market that opens till late on Fridays which you can check out if your travel dates match. Best time to visit? After 10pm. Today is Monday and we've decided to go for brunch at one of our favourite cafes in Bangkok; Roast at Seen Space in Thonglor. They are quite popular among locals as well as tourists. However, they are relocating to a different building soon but fret not, its still located in Thonglor but nearer to their roastery, Roots. For some reason most of the eateries at Seen Space in Thonglor are relocating including Mr Jone's Orphanage. Maybe someone bought over that place? Modern exterior and lush industrial style interior, no wonder Alex booked this hotel! He likes the rugged cool tones and vibe of the industrial style decor. Bangkok traffic, not bad for a Monday mid day! We took a cab to Roast at Thonglor. Seen Space is located so we decided to take a cab instead. Who says you can't have dessert as main course? This strawberry waffles is in their dessert section but I'm totally having it for Brunch! The oh so delicious Chicken Schnitzel! We headed to Yaowarat a.k.a Chinatown to get some things for work before heading back to the hotel to freshen up for dinner. Yaowarat a must go for first timers to Bangkok, it's rich in culture and filled with lots of colours and flavours of the chinese settlers in Bangkok. If you love seafood and want to try out bird's nest, this is the place to go! They also have a wholesale market where you can purchase items in bulk at a lower cost. 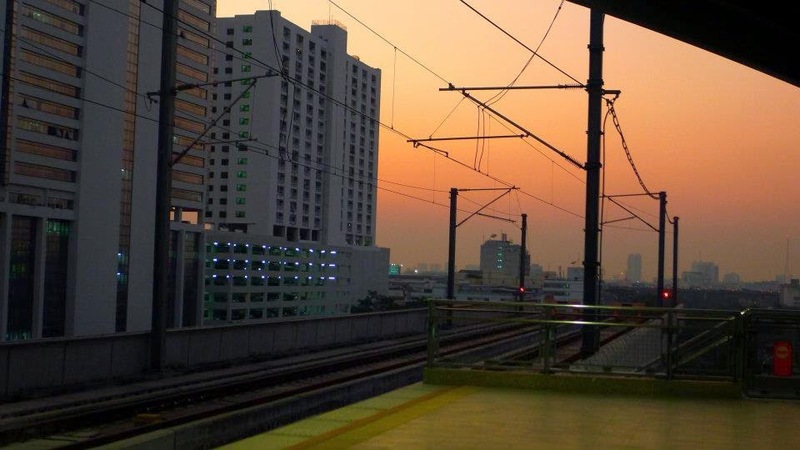 There is no direct train that goes to this place, the nearest train station is Hua Lumphong MRT and railway. After getting to this station, you have to either take a cab or tuk tuk to Yaowarat. It is about 20-30 minutes walk depending on your walking speed, under the scorching sun. I'd suggest just taking a cab from wherever you are, be sure to tell the driver Yaowarat. First time to Bangkok? Be sure to try their Tuk Tuk and make sure you bargain with the driver on the price! Try out their street food & restaurants! After a fruitful trip to Yaowarat, we headed back to the hotel to rest and freshen up for dinner. We tried the Teppanyaki at Siam Center's Food Republic and it was really good! The food was flavourful and the portions generous enough to fill the stomachs of two hungry souls. After dinner, we finally the ice-cream from this totally adorable ice-cream truck. You can find this truck outside Platinum Mall as well but we figured that walking, eating and dripping along the way wasn't really for us so we tried the one here instead. We tried the Fruit Salad Party & Tiramisu. It was a tough decision cos there were so many flavours to choose from and they were all so pretty! We walked around Siam Center and Paragon to digest our dinner and went for grocery shopping at Siam Paragon's Gourmet Market. They even had a soup counter that sold freshly made soups and we decided to try this mushroom bacon flavour. Mmm..mmm..so hearty, thick and delicious! We'll definitely be back for more of this hearty broth when we return to Bangkok! Beautiful clear blue skies greeted us the next morning as we headed out for breakfast. A picture of the hotel against the pretty shade of blue. Super cute Iron Man figurine at Central World, made Alex take a pic with him cos its his favourite Avenger LOL! The most refreshing lemonade I've ever tasted, so good! You can find this at Siam Paragon Food Hall. We went for a swim after Siam Paragon and got ready to check out some cafes after. We took the BTS from Ratchathewi to Phaya Thai. The cafes were located in a condominium named Noble Reform, just a short walk from the BTS. Other than Panary Cafe which we were going to try, the popular cafe Casa Lapin is also located within the condo. We already tried this cafe at its Sukhumvit branch last December so we won't be going for it this time round. If you do come here, You'll kill two birds with one stone cos you get to try out two cafes in one location! The whimsical cottage-like woody interior of the cafe makes it very welcoming and comfortable for patrons to enjoy their dutch pancakes. Don't have a sweet tooth and the thought of sweet desserts makes you get a toothache? No worries, they have both savoury and sweet selction to choose from! Bacon & Cheese for the savoury and Chocolate Oreo for the sweet. They didn't disappoint, both were really yummy! The Bacon & Cheese one came with maple syrup which you can refill at the condiments counter. You can choose not to pour the maple syrup if its not your cup of tea but the fusion of sweet and savoury is so heavenly! Phaya Thai, Bangkok 10400, Thailand. After the delicious pancakes, its time for some OOTD shots! We hung around the area and had dinner before heading back to the hotel to pack and rest as it's our last night in Bangkok. We checked out of our hotel and grabbed some lunch before heading to Phrom Phong to check out Ceresia Coffee Roasters. 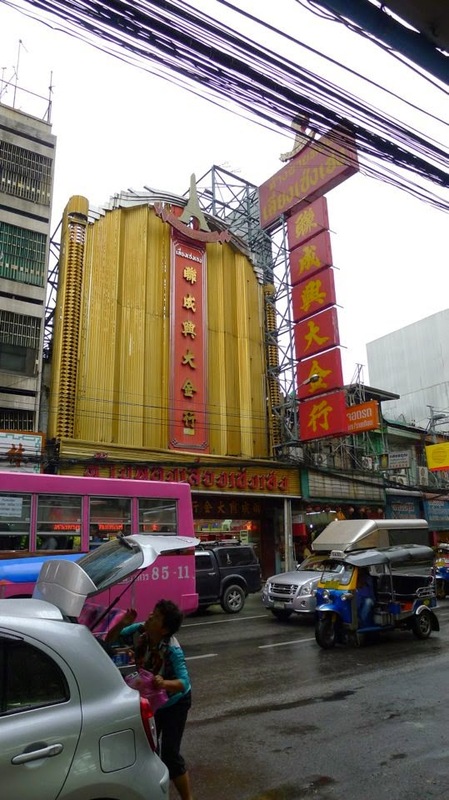 Phrom Phong is often referred to as Little Japan because of the many Japanese establishments like Japanese Supermarket, restaurants, book stores etc.. The Japanese residing in Bangkok also frequent this place. This place is also home to one of the hottest new malls in Bangkok; The Em District which includes EmQuartier and Emporium. Today also happened to be the official opening of EmQuartier Mall and we were glad to be able to witness the buzz and hype of this new mall before we left. We went in search of the cafe and saw many colourful Japanese decorations along the way. The cafe is located quite deep in and we were looking for the church landmark and finally located it. We explored the place a little after coffee before heading back to check out EmQuartier. There's something for everyone in this spanking new mall! Foodies, there are so many food choices to choose from. The only Pierre Hermes shop in Asia is also located in this mall so for a macaron addict like myself, I have to visit this shop! Foodies, the mall is like a paradise with a wide array of food establishments. Be sure to check out the basement, you'll be spoilt for choice! Fashionistas, this place also stocks high fashion brands and more mainstream brands for you to shop till your heart's content! Beauty junkies, there's Sephora, Fresh and so many other renowned beauty brands that will have you drooling at their wide selection. Fresh roses on this beautiful photo board from FRESH! A piece of London at Harrod's Tea Room! 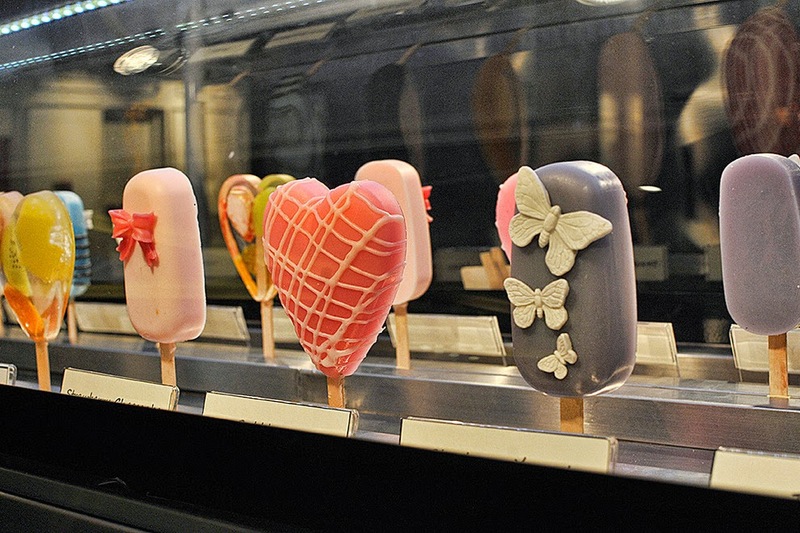 They offer a wide selction of pretty cakes and pastries as well as savoury foods. Alright, after exploring Emquartier, it was time for us to head back to the hotel to get our luggage and be on our way to the airport. Walkway to the lifts and guess what? enjoying his last cup of coffee at the hotel before heading to the airport! Can't decide where to go yet? Fret not, you can check out this list by Bangkok Magazine.